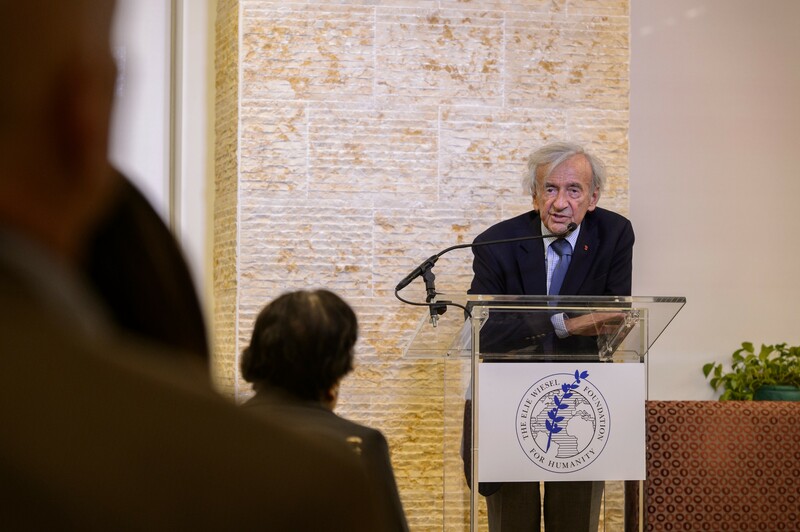 On October 22, 2015, LRN and the Elie Wiesel Foundation honored this year’s winners of the Prize in Ethics Essay Contest with an intimate reception at our New York office. This annual competition, held since 1989 by the Elie Wiesel Foundation for Humanity, challenges college students across the U.S. to submit essays on the urgent ethical issues that confront us in today’s complex world. Since Medium is a community of writers, if anyone reading this is a college Junior or Senior, consider entering the 2016 contest, which closes on 12/14/15. As two organizations with a deeply connected ethos — to help people around the world do the right thing — we’ve been the sponsor of this prize since we formed our partnership in 2008. We’re excited to share clips from the evening, along with the winning essays, which we hope will inspire you and touch your heart. 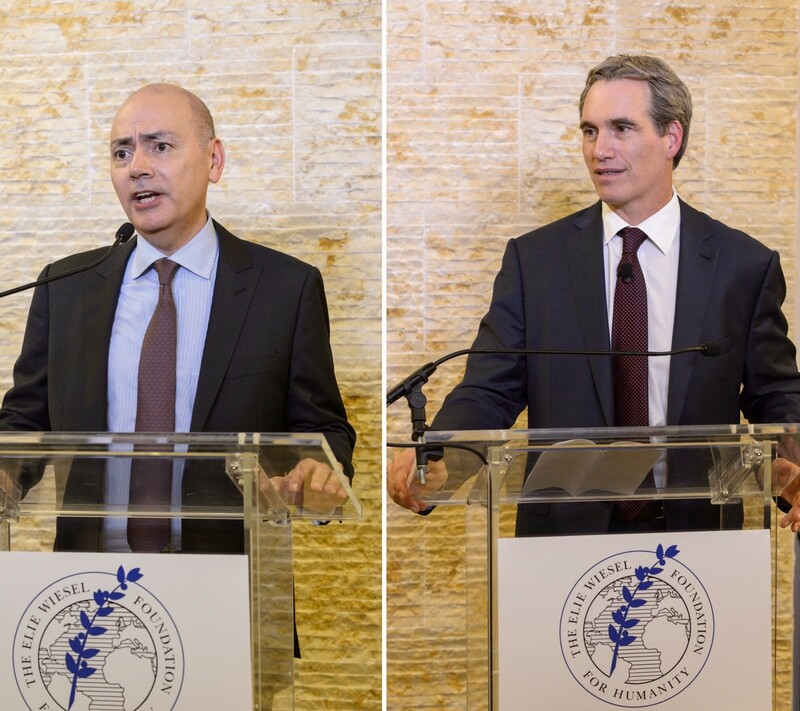 Before we introduce the three winners, we want to share some of the opening remarks from our President Jean-Marc Levy and CEO Dov Seidman, along with Professor Elie Wiesel’s full speech from the event. 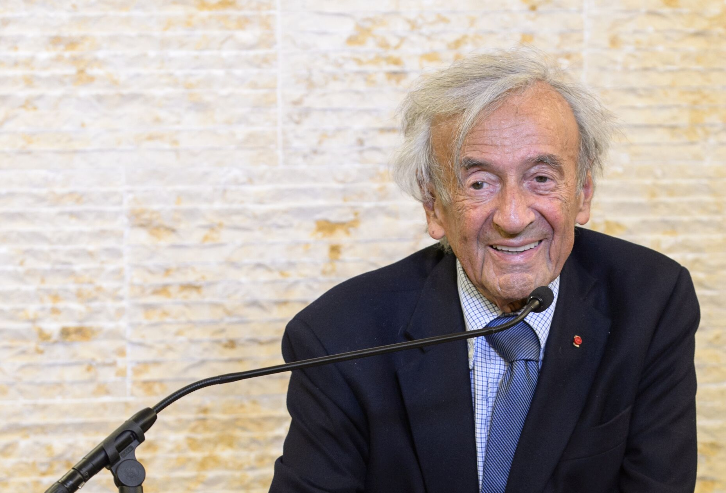 The 9-minute video below is Professor Wiesel’s full speech from the ceremony, which is worth every second of your time. Now, meet the winners of the 2015 Prize in Ethics Essay Contest! First place was awarded to The Ethics of Transcendence by Alexandra Stewart, which deals with a moral dilemma she faced in high school, struggling with the ethical differences between cultures upon discovering one of her best friends was the victim of sexual abuse. Second place was awarded to The Ethics of Giving: Lessons from the Ship and the City by Andrew Mueller, a midshipman in the United States Merchant Marine Academy who witnessed the ugliness and injustice of the world first-hand while spending 129 days at sea visiting ports in Spain, Egypt, Djibouti, Sri Lanka, Oman, Saudi Arabia, United Arab Emirates and Jordan. Third place was awarded to Humans, Animals and the Kingdom of Ends by Andrew King, who blends philosophical analysis with lyric essay to examine the morality of the unequal relationship between humans and animals. Magogodi Makhene, who won first place in 2007, was also present for the event and spent a few minutes discussing how her life, and writing, have changed since winning the award. We want to leave you with the final words of Professor Wiesel’s speech to conclude our reflection on this beautiful event.